Dalton Barnes specializes in Tenant Representation Services and Investment Sales across the United States. 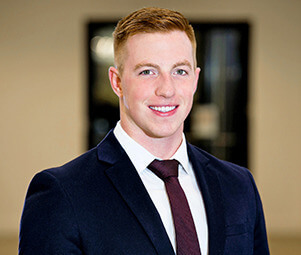 Over the course of his career, Dalton has acquired a highly versatile set of knowledge and skills that he applies every day to assist both institutional and private clients in accomplishing their respective goals in owning commercial real estate properties. Through his emphasis on building lasting relationships and bringing his clients results, he has developed indisputable credibility by exceeding the expectations of service while working with some of the industry’s most active REITS, developers, tenants, and syndicators. Dalton, in partnership with other agents at Matthews™, provides retail consulting services with some of the largest retail operators nationally to maximize the value of their real estate and while eliminating any inefficiencies which may exist. Dalton has established strong working relationships with many of the industry’s largest retailers and franchisees for Hardee’s, Carl’s Jr., KFC, Wendy’s, Applebee’s, IHOP, Firestone, Jiffy Lube, Midas and many others. In doing so, Dalton has been successful in fueling growth strategies with new real estate & business operations acquisitions for his clients at unprecedented terms.